Since the building now known as the Caribou Public Library was built in 1911, it has housed relics of the past, many of which date back to the 1800s. CARIBOU, Maine — Since the building now known as the Caribou Public Library was built in 1911, it has housed relics of the past, many of which date back to the 1800s. 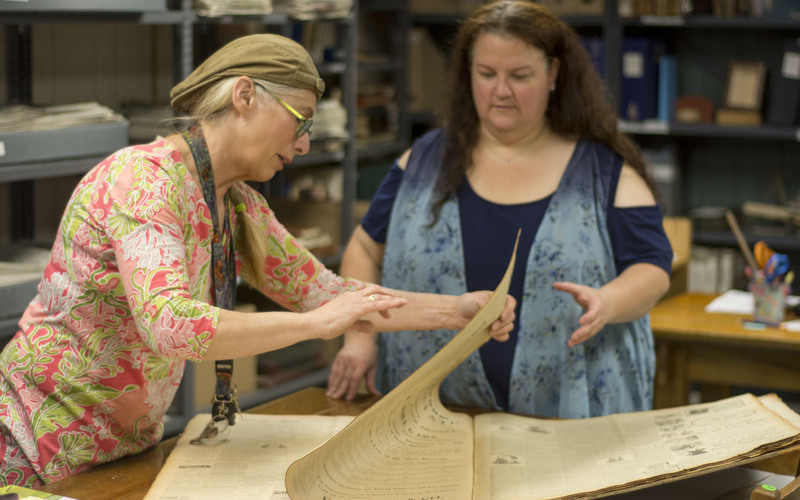 Caribou Public Library Archive Assistant Tina Tilley said she has been involved with the archives since last year, and that “it has always been happening” in the facility, with many priceless pieces of history coming in through community contributions. The basement archive includes self-published books, and even hand-written journal entries from Caribou area residents who fought in the Civil War. 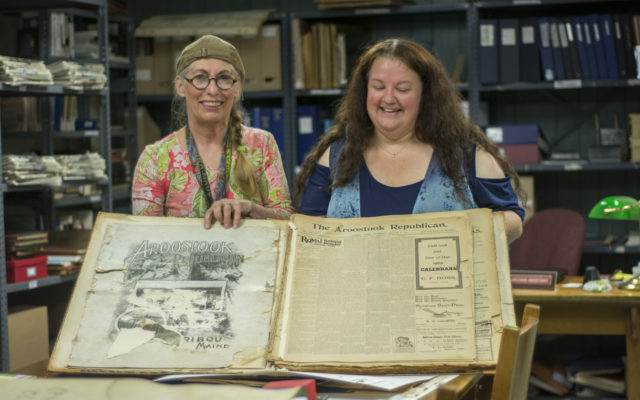 One of the facility’s largest projects, however, involves archiving every issue of the Aroostook Republican and News. The paper has seen several changes since Samuel W. Matthews began publishing it in the 1880s, according to Tilley. Caribou, for instance, was once a township, and formerly went by the name “Lyndon.” The articles were longer and typeset by hand, and the publication featured advertisements for wood stoves along with numerous profiles of prominent Caribou figures. Through the historical, cultural, and technological changes in Caribou over the past century, one thing remains the same: the Aroostook Republican still comes out on Wednesday. In addition to storing physical issues of the paper from bygone days, library staff archive new issues every Wednesday. 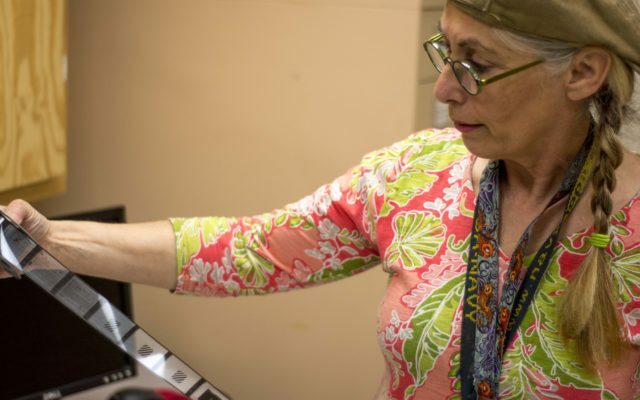 As a result, there are well over a thousand newspapers stored in the building, and Caribou Public Library Director Anastasia Weigle said one of her main objectives as an archivist is to keep the content of those papers alive via digitizing. Weigle recently sent seven rolls of microfilm, each of which contains a year’s worth of papers, to Preservation Advantage, a company that specializing in digitizing and indexing. Digitizing these papers is essential, as the acidic nature of newspapers makes them susceptible to degradation over time. “Archivists know it’s not the newspaper that’s valuable,” said Weigle, “but the content in that paper. We have a number of publications we can’t even bring out of the box because they’re just falling apart. Hundreds of issues and about 2,776 pages of the Aroostook Republican from 1880 to 1899 are currently available in digital format on the Caribou Public Library website, and can be browsed by date of publication or via keyword search. The library is still seeking funds to do more of the digitizing. Meanwhile, several issues of the paper have been archived in both microfilm and CD format, which is superior to the physical copies in terms of longevity, but inferior to the digital archive as they are not indexed and searchable. Weigle said the library has a list of “scholars,” or people permitted to peruse the physical archives when a member of library staff is not present. “We know our scholars,” said Weigle, adding that, before her time at the Caribou Public Library, she was told that an individual had gone into the archive room, brought scissors, and cut out a clipping from an old issue of the newspaper. “We have to be present if someone comes in from away, or we don’t know who they are,” Weigle said. The library also welcomes local residents to come in and help build a “community archive” that will be accessible online. “We’re asking any community members willing to share family photos are paper artifacts related to the area,” Weigle said, adding that she can also utilize 3D imaging software for physical items from the past. Items brought to the library will be copied into the digital archives, with the intention of creating a collection that paints a broader picture of the Caribou area’s history. Those interested in looking at the archives or volunteering can call the Caribou Public Library at 493-4214.